Arduino Quick Reference: quick reference sheet for the Arduino programming language. Arduino Reference Site: complete documentation for the Arduino programming language. Arduino Cheat Sheet: a one-page, rather cramped but comprehensive, reference sheet for the Arduino programming language. Arduino Notebook: a very handy summary notebook of Arduino programming elements AND typical circuit elements. Arduino the Documentary, documentary that is a good introduction to the history of Arduino. 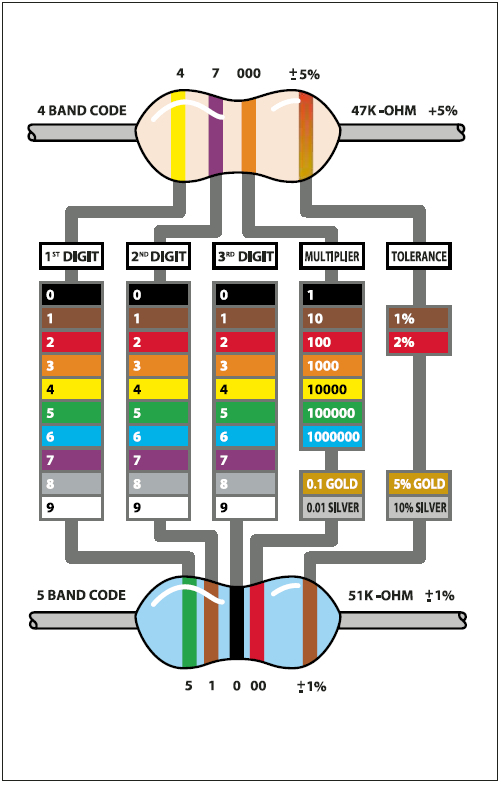 Resistor Code Chart: an explanation of how to decode the colored stripe codes on resistors. 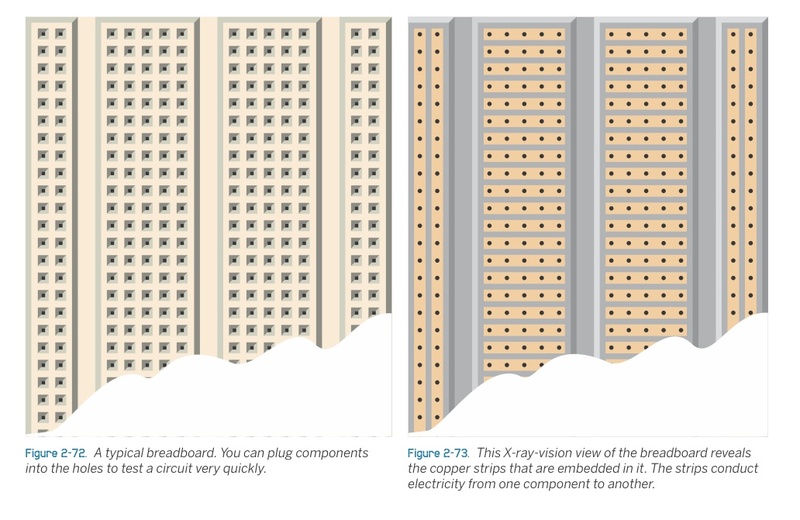 Breadboard Connections: an X-ray view of a breadboard so you can see how to connect components to it (image from Make:Electronics).